We're Social Colleague. 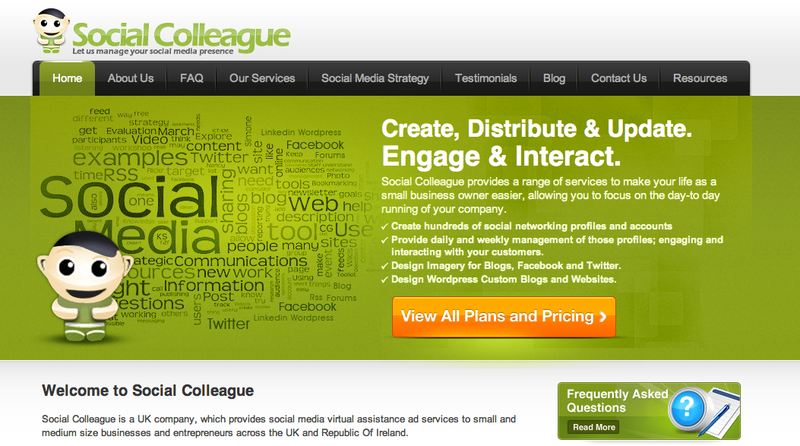 A Social media virtual assistance company. We provide a range of services such as monthly management of your social media profiles and accounts. Campaign management, growth and engagement within your industry, constant communication with your customers and clients and more. Like us on Facebook (www.facebook.com/socialcolleague) or add us to your circles on Google+ (www.Gplus.to/SocialColleague) for more info.